Metamorphosis is a Greek word meaning transformation or transfiguration. In Ezekiel 36:26-27, God says, "I will give you a new heart and put a new spirit in you. I will remove from you your heart of stone and give you a heart of flesh. And I will put my Spirit in you and move you to follow my decrees and be careful to keep my laws. Most people associate metamorphosis with the transformation of a caterpillar into a butterfly. Eric Carle's children's book, The Hungry Caterpillar, illustrates this in great colorful detail. The caterpillar starts its life out as an egg. Then it becomes a caterpillar. As a caterpillar its job is to eat and eat AND eat some more until it bursts out of its skin. When it is mature, it stops eating and starts spinning a silken pad, called a chrysalis, all around itself. Then it rests. 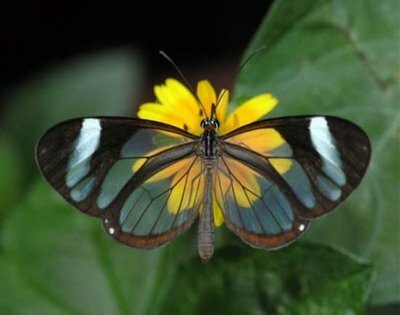 During this special period of rest, dormant(sleeping) cells now become energized and turn into the wings, legs, eyes, and other parts of the adult butterfly. It stays in this chrysalis for a long time. Some varieties stay inside for a whole year! When God determines that it is ready, the former caterpillar slowly bursts out of its silken pad and is now a butterfly. It no longer has to crawl, it can now fly! As a butterfly, it will seek out sources of nectar and feed on them. That way, it will continue to thrive. God uses nature to teach us spiritual lessons. The metamorphosis of a caterpillar into a butterfly is one example of this and it teaches us about our own metamorphosis. However, unlike the butterfly, I believe that we experience the phases continually throughout our Christian walk and sometimes in a different order. Feeding Stage: Where we "take in" and "feed on" the scriptures, focusing on learning about God through Jesus, and on learning about ourselves and God's plan for our lives. This is when our foundation is built. Resting Stage: Where we digest what we have learned, meditate on God's character, stop to listen for His voice and start to trust Him and praise Him. This is where we learn what worship is. Activity Stage: After being fed, and after resting in God's presence, we will experience a rebirth. We will be empowered with a new perspective on life and will desire from deep within to make a difference in our world. We will fly and God will be the wind beneath our wings. This stage can be compared to the journey of a faithful Christian. Our characters and personalities will be molded through hardship during this time. Relationship issues are a primary way this happens. Through these conflicts we will learn how to "speak the truth in love" as God does. We will learn to "exercise" our faith during these times and our "faith muscle" will become stronger and stronger. If we had no struggles to overcome, our faith muscle would be flabby! Enrichment Stage: After being reborn, we will want to "mature" into our identities as God's sons and daughters. We do this by continuing to feed ourselves nurturing spiritual food for the rest of our lives. We must find healthy resources to meet this need. This is God's plan for us. In Romans 8:29 it says that we are to be "conformed to the image of His son." To become like Christ is our ultimate goal! We will take our spiritual development with us when we leave our physical bodies and move on into the timeless spiritual realm. Our development is very very important. That's why God won't always intercede to make life easy for us. 2 Co 3:18 -"So all of us who have had that veil removed can see and reflect the glory of the Lord. And the Lord--who is the Spirit--makes us more and more like him as we are changed into his glorious image." 2 Co 4:16 - "So we do not lose heart. Though our outer self is wasting away, our inner self is being renewed day by day." Titus 3:5 - "he saved us, not because of the righteous things we had done, but because of his mercy. He washed away our sins, giving us a new birth and new life through the Holy Spirit." Php 3:21 - "He will take our weak mortal bodies and change them into glorious bodies like his own, using the same power with which he will bring everything under his control." Ro 12:2 - "Don't copy the behavior and customs of this world, but let God transform you into a new person by changing the way you think. Then you will learn to know God's will for you, which is good and pleasing and perfect." Ezekiel 36:26-27 - God says, "I will give you a new heart and put a new spirit in you. I will remove from you your heart of stone and give you a heart of flesh. And I will put my Spirit in you and move you to follow my decrees and be careful to keep my laws. Mt 17:2 - "As the men watched, Jesus' appearance was transformed so that his face shone like the sun, and his clothes became as white as light." Mk 9:2- "Six days later Jesus took Peter, James, and John, and led them up a high mountain to be alone. As the men watched, Jesus' appearance was transformed." 1 Co 15:4-6 -"that He was buried, that He was raised on the third day according to the Scriptures, and that He appeared to Cephas and then to the Twelve. After that, He appeared to more than five hundred brothers at once, most of whom are still alive, though some have fallen asleep"